When your goal is to burn fat, build muscle, and get shredded for summer, you might be wondering which foods help you achieve the physique you desire. High-protein, low-fat foods can help you get shredded for the summer months ahead, but eating a well-balanced diet is the key to six-pack success. How Much Protein, Fat, and Carbs Should I Eat? Increasing protein helps boost satiety, burn fat, and maintain muscle during periods of calorie restriction. But while reducing dietary fat helps control calories for weight loss, heart-healthy fats (plant fats and fish oils) are nutritious for you and part of a healthy eating plan. Studies show that while low-carb diets help reduce body weight and fat, low-fat diets can be just as effective (even more so in some cases) for fat burning. The Institute of Medicine recommends adults consume at least 20% of their daily calories from dietary fat. Carbohydrates and protein each contain 4 calories per gram and fat provides 9 calories per gram. Therefore, aim for at least 40 grams of fat daily when following an 1,800-calorie weight loss plan and at least 51 grams when consuming 2,300 calories per day. How Many Calories Should I Consume for Fat Loss? To melt away excess body fat, simply burn more calories during workouts or lower your energy intake by about 500 calories daily. For many men, eating about 1,800 calories per day should do the trick. If you’re very active, you might need extra calories to lose about 1/2 to 1 pound of body fat each week. Use the U.S. Department of Agriculture’s Food Composition Database or a calorie counting app, such as MyFitnessPal or Lose It!, to track how much you're eating. Fruits provide natural sugar and fiber,and are low in fat, but aren’t good sources of protein. Nuts and seeds are high in protein but also rich in heart-healthy fats. 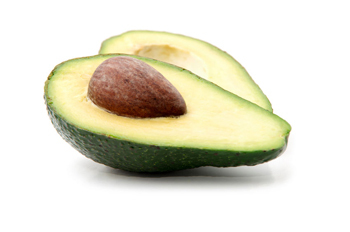 Avocados, plant oils, and fish oils are excellent sources of nutritious fats. Non-starchy vegetables, such as leafy greens, cucumbers, tomatoes, asparagus, green beans, celery, bell peppers, broccoli, and cauliflower, are low in calories and fat and rich in fiber but generally aren't good sources of protein. Choose combinations of these healthy options plus high-protein, low-fat foods to create the perfect fat-loss, muscle-building meal plan for men over 40. Should I Try Protein Supplements? Protein supplementation helps increase your protein intake without adding extra calories, and can be beneficial for fat loss and lean mass gains. Protein supplements are available as protein powders, ready-to-drink protein shakes, protein bars, and more. However, use caution with protein supplements as some items contain added sugar and other hidden ingredients. When choose protein supplements for muscle building and fat loss, opt for those containing at least 10 grams of protein and fewer than 5 grams of added sugar per serving. Consider homemade weight-loss protein shakes that are loaded with essential nutrients and contain about 300 calories per serving. Use protein shakes as meal replacements to keep calories under control, between meal snacks, or pre- and post-workout fuel. Now that you have a better idea of which high-protein, low-fat foods help you get shredded for summer, it’s easy to create your own fat-burning, muscle-building menus. For best results, exercise most days of the week and follow the Fit Father Project's fat-burning workouts specifically designed for men over 40. Most workouts are just 30 minutes, so you can squeeze them into just about any busy schedule. Alcohol contains 7 calories per gram, which is almost as many calories as dietary fat. Combining alcohol with sugary mixers and other high-calorie beverages means you might ingest up to 500 calories or more in just a single drink! Giving up alcohol, or only drinking in moderation, can drastically improve your fat-loss results. Water can energize you and prevent you from overeating at meal time. Preventing dehydration also means better muscle-building and fat-burning workouts. Aim for 16 cups of water daily as a rule of thumb. Your individual needs might be more or less depending on your size, body composition, and how much you sweat throughout the day. Drink water when you first wake up each morning and before meals to control your calorie intake. Weighing yourself daily aids in weight loss but if muscle building is your goal, track body measurements too. Measure your waist circumference regularly, as it should shrink as fat melts away. Aim for a waist circumference of less than 40 inches in men and less than 35 inches around in women. Sleep is more important than you might think for muscle building and fat loss. Getting 7-9 hours of sleep in each night helps your body recover after strenuous workouts and controls appetite hormones in your body. To improve sleep quality, sleep in a cool dark room, set a regular sleep schedule, avoid going to bed hungry or very full, and reduce stress as much as you can. At the Fit Father Project, muscle building and fat burning are the ultimate goals. The Fit Father Project 30X (FF30X) helps busy fathers over 40 shed excess body weight and fat and keep it off for life. The program offers custom fat-burning meal plans and menus, muscle-building workouts, fat-burning exercise programs, free weekly newsletters, email coaching support, Q & A sessions with health experts, and much more! With an abundance of workouts at your fingertips, specifically designed by the Fit Father Project for busy men over 40, weight and fat loss won't be boring or difficult. You’ll finally achieve the six-pack abs and muscular physique you desire just in time for summer! What do you have to lose? If you’re seeking an effective fat loss diet for men that’s sustainable over the long term, you’re in luck. Here at the Fit Father Project we love to find and promote simple, healthy, and effective weight loss strategies and techniques. For creating a sustainable and effective weight loss diet, we have identified several key components and listed them below. A fat loss diet for men involves slightly lowering your calorie intake, but not too much. The trick is finding a healthy eating eating plan you can stick with long term, not just as a quick fix for rapid weight loss. A fat loss rate that works well for long term success about 1-2 pounds per week. You can achieve this goal by eating 500-1,000 fewer calories than your usual intake or burning an extra 500 calories with physical activity. The National Heart, Lung, and Blood Institute (NHLBI) says consuming 1,500-1,800 calories per day works well for weight loss in men. There are numerous ways you can reduce calories by 500 daily for effective fat loss, but cutting back on junk food is the best and easiest way to do so. Keep a food journal or use an app to track calories, so you know if you're meeting weight loss calorie guidelines for men. Your individual fat loss calories needs vary based on your size, body composition, and activity level. Non-starchy vegetables are loaded with fiber and contain lots of water, which means these veggies are low in calories but still keep you full for long time periods. Filling each plate half full with non-starchy vegetables is a good fat loss strategy. Examples include leafy greens, cucumbers, celery, tomatoes, broccoli, cauliflower, bell peppers, mushrooms, onions, green beans, zucchini, and asparagus. Like vegetables, berries are loaded with fiber and water to fill you up from fewer calories, and berries are lower in calories than numerous other fruits. One cup of berries provides just 50-80 calories, and studies show that phytochemicals and other components in berries help reduce obesity. Aim to eat berries regularly when fat loss is your goal. The Dietary Guidelines for Americans 2020 recommend eating 1 ½ cups of fruit daily when eating 1,500-1,800 calories per day. Protein boosts satiety and your metabolism, and helps you maintain lean muscle mass during weight loss. Lean poultry, fish, and seafood are are low-calorie foods, containing just 100-150 calories in each 3-ounce portion. Protein-rich eggs provide about 70 calories each, or just 17 calories in each egg white. Low-fat dairy foods are loaded with protein and make excellent fat-burning snacks. Studies show that eating high-protein snacks, such as yogurt, regularly is associated with better appetite control, improved satiety, and a lower daily food intake compared with eating lower protein snacks. Add low-fat cottage cheese, non-fat Greek yogurt, reduced-fat cheese, plant milk, or plant-based yogurt menus when fat loss is your goal. While nuts are high in calories, they’re also rich in satiating protein, fiber, and heart-healthy fats and aid in weight and fat loss. Studies show that during periods of calorie restriction, eating nuts improves body composition and fat loss, especially belly fat loss, in overweight and obese adults. Snack on pistachios, almonds, peanuts, pumpkins seeds, or sunflower seeds or add them to salads, oatmeal, or protein smoothies. Protein shakes make the perfect addition to fat-loss meal plans as pre- or post-workout nourishment or meal replacements. The protein, fiber, and healthy fats in protein shakes keeps you full for long time periods and aids in fat burning. Add whey, casein, or plant protein powder (containing about 25 grams of protein per scoop) to plant milk, nut butter, berries, and ice to create a delicious weight loss meal or snack. Dietary fat keeps you full longer, especially when paired with fiber and protein. In addition to nuts and seeds, other healthy fats to include in a fat loss diet for men are avocados, oils, nut butters, and olives. Try cooking with olive oil, adding nut butter to protein smoothies, and topping salads with avocados or nuts. You'll fill about 1/4 of each plate with fiber-rich starches when weight and fat loss is your goal. That's because these starches fill you up and provide you with the energy needed for high-intensity fat-burning workouts. Examples of fiber-rich starches include sweet potatoes, corn, peas, beans, lentils, other legumes, quinoa, brown rice, wild rice, and oatmeal. Fat-burning workouts are a key component of effective weight and fat loss programs. Without exercise, you won’t have the muscle mass needed keep your metabolism going strong or achieve the muscular physique and six-pack abs you desire. To get an idea of some of the best fat-burning exercises for men, try the Fit Father Project’s free fat-burning workout or free muscle-building workout today! The workouts are effective but last 30 minutes or less! For best results, work out most days each week and change up fat-burning workouts often. You’ll be surprised at how much better you look and feel when you make quality sleep a priority. Water (plus coffee or tea if you’d like) is the best choice when weight and fat loss is your goal. Nix sugary drinks altogether if you can and set water intake goals. For men, a good rule of thumb is to aim for 16 cups of water daily. You might require more or less than this depending on your size, body composition, climate you live in, and the amount of sweating you do throughout the day. Alcohol and tobacco can increase your risk of cancer and alcohol adds unnecessary calories to your daily intake, providing 7 calories per gram. Drinking alcohol before bed might make you tired, but can disrupt sleep later on during the night. If you can’t give up alcohol entirely, limit it as much as you can to maximize fat burning. or best results, weigh yourself at the same time each day (such as when you first wake up in the morning) and record your numbers in a journal to track progress over time. 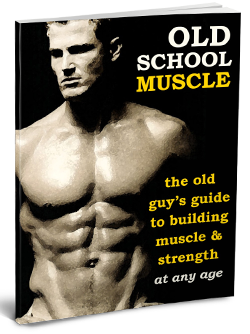 As men age testosterone levels tend to drop, making it difficult to achieve the lean physique you desire. Low testosterone takes a toll on energy levels and makes muscle building challenging. Have your doctor check testosterone (and other hormones, such as thyroid) to make sure levels are balanced so you can achieve your goal weight and body composition. Your doctor can treat unbalanced hormones to get your body back on track. Having a structured program in place to hold you accountable is the key to effective fat loss diets for men. Health experts answer questions you have along the way and invest time into your success. Customized meal plans and workouts you'll receive with FF30X are priceless when a busy lifestyle leaves you little free time. When you’re ready to find out for yourself why thousands of busy dads are part of the Fit Father Project, sign up for FF30X today or the try the Fit Father Project free 1-day meal plan! *Please know that weight loss results & health changes/improvements vary from individual to individual; you may not achieve similar results. Always consult with your doctor before making health decisions. This is not medical advice – simply very well-researched info on creating fat loss diet for men. 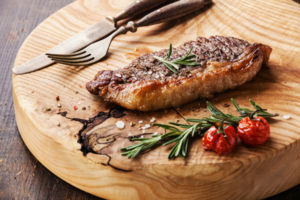 Eating a balanced diet is the most important part of a healthy lifestyle, which should be reason enough for men to have a few healthy recipes at hand. W hen you think about it, getting enough rest, drinking enough water, and even going to the gym doesn't mean anything if you're not providing your body with the right fuel. If you've struggled to eat healthy in the past, you may feel daunted by the superfoods and diets that are going around. But here's the truth — you don't have to follow the latest diet trends to give your body the fuel that it needs! All you need to do is understand how your body processes the foods throughout the food pyramid and which are best for you. We've outlined some of our favorite recipes for breakfast, lunch and dinner so you can see how eating like a Fit Father would feel. We've all been told that breakfast is the most important meal of the day. S o how has everyone gotten it so wrong for so long? All the breakfast pastries, copious amounts of fruit, and carb-heavy breakfasts that we see advertised on TV and in movies are a big misrepresentation of what a good breakfast is. When you wake up and get ready, what you choose to fuel your body with can impact how you feel for the rest of your day. Will you be lethargic or alert? Distracted or focused? Breakfast foods can help determine this. One of our favorite breakfast recipes is an egg, vegetable and sausage scramble. This healthy recipe for men has 19 grams of protein; enough to keep you full until lunch rolls around. You will need to use both your stove-top and oven for this one, but the result is so worth it: a satisfying dish filled with diverse nutrients. Lunch is also an incredibly important meal during the day. W ith how fast-paced our work lives generally are, it can be easy to skip lunch, buy fast food, or heat up a terrible frozen meal. All three of these are great ways to end up in an afternoon slump! Instead of falling victim to these usual behaviors, try to consider your lunch hour valuable time to refuel for the rest of your day. Even if you're not able to take a full hour, try to give yourself a solid 15 to 30 minutes to sit down with nutritious choices. One of our favorite lunch recipes is this chopped chickpea salad. Eating salads for lunch make sure that you don't get too full off of unneeded carbs but do get an injection of much-needed energy. This chopped chickpea salad also makes sure that you get enough protein (16 grams) and fiber (14 grams) to keep you full but your digestion moving. A major perk of the chopped chickpea salad is that it's very easy to meal prep and keep in your fridge throughout the week. Dinner is so much more than a meal. W hen you have a family, dinner is time to reconnect with your spouse and children and to end your day on a healthy note. No matter if you're eating dinner before or after you work out, it's important that you include the right amount of proteins and healthy fats to keep your body going as you sleep. One of our favorite dinner recipes is a beef stir fry. Stir fry is a very popular dish that's easy to customize. You can always switch out your proteins or your vegetables if you have picky eaters at home. Get your kids to help you making dinner! With the number of ingredients in stir fry, you can allow kids to help separate ingredients and older kids can even help cut up vegetables. Change is always a difficult process that's always best to handle piece-by-piece. W hen it comes to healthy eating, you may have thought that changing your diet would just be too difficult to cope with. But we hope that by showing you our favorite recipes for each meal of the day, you can see that healthy meals can be delicious and not too different from what you like to eat now. When it comes down to it, changing your diet one meal at a time just isn't that difficult! If you'd like to hear more ideas on healthy recipes or how to portion your meals, visit our free 1-day meal plan. Of course, leading a healthy lifestyle should also incorporate working out, getting enough rest, and making sure your priorities are aligned. While that may seem like a huge feat, we do have a program that can help. The FF30X program combines the mindset, diet and workout plans that you'll need in order to be the healthiest that you can be for your family. Between instruction from our trainers and support from other fathers using the program, you'll be inducted into the Fit Father brotherhood. Join our tribe and secure your health today! *Please know that weight loss results & health changes/improvements vary from individual to individual; you may not achieve similar results. Always consult with your doctor before making health decisions. This is not medical advice – simply very well-researched information on healthy recipes for men. Because a wide variety of fitness and nutrition trends are in the media, it can be difficult to know which weight loss and fat burning philosophies are the most effective. The best way to burn fat for men includes a sustainable diet and a high-intensity workout schedule. Dads over 40 lead busy lives and strive to balance work, family, and taking care of themselves. The Fit Father Project helps you achieve the perfect balance of each, and allows even the busiest dads to achieve their desired body weight and muscular physique. Achieving and maintaining optimal health is possible for every father regardless of his initial body weight, body fat percentage, and busy schedule. Having the right tools in place and motivational support from health experts at the Fit Father Project is all it takes to get started on the road toward a longer, healthier, and happier life. Dads over 40 lead busy lives and strive to balance work, family, and taking care of themselves. The Fit Father Project helps you achieve the perfect balance of each and allows even the busiest dads to achieve their desired body weight and muscular physique. If you’re at a gym, try different forms of cardiovascular exercise rather than simply running and jogging. For example, you can sprint for 1-2 minutes on a treadmill, walk to the next cardio machine, row at a high intensity for 1-2 minutes, and switch to a bike or elliptical machine for your next high-intensity exercise. If you have access to a pool, consider HIIT swimming instead. For best fat-burning results, aim to fill half of each plate with non-starchy vegetables, one-fourth of your plate with protein foods, and one-fourth of each plate with fiber rich-carbohydrates – such as peas, beans, lentils, other legumes, corn, sweet potatoes, quinoa, brown rice, oatmeal, and fruit. To make weight loss simple, especially when you’re on the go, try replacing one or two meals with a protein smoothie to reduce your overall calorie intake, boost satiety, and keep energy levels high during weight loss. Consider the Fit Father Project healthy protein shake recipes you can prepare at home using your favorite protein powder, containing about 300 calories per serving. These recipes are loaded with protein, healthy fats, and fiber to keep you full longer between meals. If you struggle with overeating at meal time, drinking water before meals can help! Studies show that drinking 2 cups of water within 30 minutes of eating helps you fill up and eat fewer calories during meals. Aim for a total daily water intake of 16 cups daily for men. Experiment with intermittent fasting to maximize fat burning results. Numerous methods for intermittent fasting and intermittent calorie restriction have been effective for weight loss in men in research studies. Studies show that intermittent energy restriction (alternating days of calorie restriction with normal eating days) is an effective fat loss strategy. Consuming all daily calories within an 8-hour window combined with resistance training helps decrease body fat in men, studies show. Reduce your overall daily calorie intake six days weekly and allow yourself one cheat day each week. Eat all your meals and snacks between 8am and 6pm each day, or choose another 8-hour time block that best fits your schedule. For effective weight and fat loss, reduce your usual energy intake by about 500-1,000 calories per day. For many men, this means eating 1,500-2,000 calories per day. Caffeine and other components of green tea and coffee appear to enhance weight and fat loss, according to numerous studies. Some reasons for this because of caffeine’s effects on increased energy expenditure, a lower energy intake, and better fat oxidation. Caffeine also gives you more energy during workouts, which helps boost calorie expenditure even more. You don’t have to follow a vegetarian or vegan diet to effective shed pounds and body fat, but doing so is a fairly simple way to drop excess weight if you don’t mind nixing meat from your meal plans. Studies show that vegetarian diets, especially vegan (entirely plant-based) diets, appear to be more effective for weight loss than non-vegetarian diets. By carefully plant-based menus, you can still get all of the protein and other essential nutrients your body requires daily to function properly. The fewer of these foods you eat regularly the better your chance at slimming down, maintaining or building muscle, increasing energy, and maintaining lost weight for life. Should I Try Fat-Burning Supplements? Protein is known to boost satiety, help your body burn extra calories, and maintain lean muscle mass even during periods of calorie restriction. Numerous studies show the benefits of whey protein for fat loss. Try a whey protein smoothie after workouts or as a meal replacement when fat loss is your goal. Believe it or not, ingesting probiotics (healthy gut bacteria) appears to enhance weight and fat loss. Research shows that these tiny organisms help regulate appetite and food intake, and improve weight and fat loss in animal and human studies. Consider taking probiotics supplements or eat probiotics-rich foods like Greek yogurt, unsweetened kefir, or sauerkraut. When eating a well-balanced fat-loss diet rich in fruits, vegetables, legumes, nuts, seeds, and whole grains, you shouldn't have a problem meeting fiber recommendations of 30-38 grams daily for men. However if you don’t always consume enough fiber or you'd like to enhance weight and fat loss, consider taking a fiber supplement. Studies show doing so often makes it easier to shed pounds. How Should I Begin My Fat Loss Journey? With so much information circulating about various fat-burning diet and exercise programs, it’s easy to feel overwhelmed and wonder where to begin your weight and fat loss journey. That’s why the Fit Father Project comes in handy for busy fathers seeking better health who don’t have much free time. The Fit Father Project 30X (FF30X) is a weight loss program that’s helped thousands of busy fathers like you build muscle, burn fat, get the six-pack abs they desire, and maintain their new muscular physique for life. You’ll feel better, have more energy, drop excess body fat, gain strength and confidence, and lower your risk of chronic disease and early death – so you can be there for your friends and family when they need you the most. What do you have to lose? Erin Coleman Writer, The Fit Father Project A 15-year freelance writing veteran, Erin is registered dietitian and health educator who is passionate about health, fitness and disease prevention. Her published work appears on hundreds of health and fitness websites, and she’s working on publishing her first book! Erin is a wife and mom of two beautiful children. It's common knowledge that eating right has a bigger impact on our overall health than working out does. Even if you accept that truth, it can be hard to find cost-effective and convenient options for healthy eating. especially if you're not the main grocery shopper for the family. But that's where we come in! We'll share our tips and tricks for quick, healthy meals that will keep you sustained throughout the day. The heart of creating quick, healthy meals is right on your plate. W e use a principle called Perfect Plates to guide us as we create our meals. Perfect Plates allows you to not only choose the right foods, but also to portion them out in the healthiest way. Using Perfect Plates is also a time saver, as it allows you to avoid counting calories. Our favorite non-starchy vegetables are cauliflower, tomatoes, leafy greens, celery, broccoli, cucumber, bell peppers, mushrooms, asparagus, green beans, and zucchini. Examples of healthy starches are legumes, peas, dried beans, lentils, sweet potatoes, corn, quinoa, oatmeal, brown rice, wild rice, other whole grains, and fruit. Healthy proteins include lean meat, chicken, turkey, fish, seafood, tofu, eggs, low-fat cottage cheese, nonfat Greek yogurt, reduced-fat cheese, plant milk, and protein powder. Using the perfect plate method is a really easy way to identify and create quick & healthy meals. Meal prepping, the practice of preparing your meals in advance, makes the decision to eat healthy food easier. I f you are someone who finds doing dishes daily and cooking daily a huge chore, meal prepping is for you. If you are someone who thinks that healthy foods are too expensive to buy, meal prepping can help change your mind. And if you're just someone who wants more built-in accountability, meal prepping is definitely for you. All of these actions make your meal prepping accessible for you and streamlined to prepare. Meal prepping does require work on the upfront, but it allows you to eat your meals with confidence. Even though you'll be filling up on nutritious and quick, healthy meals, it's important to recognize that snacking is probably still going to happen. M ost people think that when dieting, you have to remove all snacking from your day. But that's not the case! Healthy snacking is a great way to keep yourself on track for your fitness goals. You just need to find the right snacks. When choosing your snacks, try to keep it within about 250 calories. This amount will keep you full, but won't ruin a future meal. The best snacks to accompany quick, healthy meals are all good sources of protein, fiber or healthy fats. Our favorites are nuts, berries, protein shakes, raw veggies with hummus, greek yogurt, fruit, and almond butter. Along with choosing nutritious snacks, try drinking water before you eat on them. Drinking water before snacks and meals can help to reduce cravings and keep you hydrated. 5 Muscle Building Recipes to Get You Addicted to Smoothies! Even with all the knowledge of how to create quick, healthy meals, it can be difficult to stay committed to a nutritious meal plan. E specially for those of us who are making a big life change by eating healthy, staying on the right track can be daunting. The best way we've found to stay committed to eating well is to find a community who are going through the same trials and can support you. Here at the Fit Father Project, we have trainers who can guide you and fathers like yourself who can relate to you. The FF30X program offers you training resources and an outlet for your successes and failures. FF30X fits all the criteria of the perfect weight loss plan for men over 40. Join our brotherhood and experience the difference in workouts and meal plans that really work. Bragging Rights: Has helped over 35,000 fathers lose fat, build muscle & get healthy for their families. *Always remember: weight loss results & health changes/improvements vary from individual to individual. Just because these studies cite certain data does not mean you will experience these results. Always consult with your doctor before making decisions about your health. This is not medical advice – simply very well-researched info on how to make quick, healthy meals.